Georges St-Pierre is ready to take some time off following his win over Michael Bisping at UFC 217 but he’s not yet prepared to confirm his next fight inside the Octagon. In the lead up to his middleweight title fight this past weekend, St-Pierre stated numerous times that he was contractually obligated to defend the belt against interim champion Robert Whittaker. While that statement stayed the same on Thursday when St-Pierre spoke to the media for the first time since winning the belt, he also added that nothing is set in stone because changes happen in the UFC all the time. 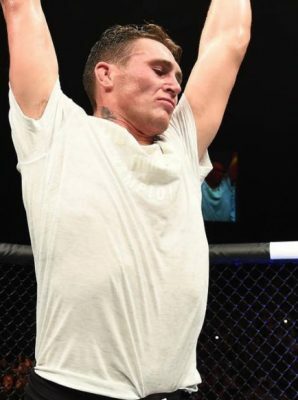 “Robert Whittaker is in my contract. If I want to fight again, it has to be against Robert Whittaker at 185 [pounds]. It’s in my contract,” St-Pierre said. “I cannot go fight Tyron Woodley or go fight another guy. My contract is that the UFC doesn’t want me to fight anywhere. I have to fight Robert Whittaker, that’s my contract. That’s the term of my contract. There has been a ton of speculation since St-Pierre won the belt this past weekend that perhaps his future lies in the welterweight division where he was a nine time defending champion, which would set up another massive fight against current 170-pound king Tyron Woodley. St-Pierre dropping down a division would also bring him that much closer to a potential super fight against Conor McGregor, who remains the biggest draw in the history of the sport. “I don’t know. I don’t know yet. I have no idea what’s going to happen. I’ll find out soon but I don’t know yet,” St-Pierre said. Still, St-Pierre did say that the last thing he wants to do is leave the middleweight division in limbo for several months while he figures it out. 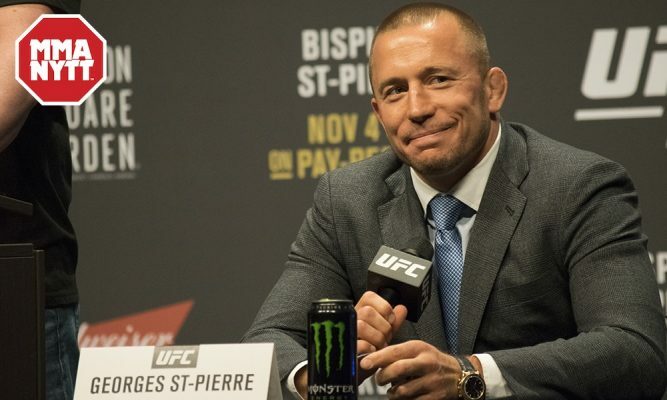 St-Pierre is well aware that he upset the apple cart by returning to the UFC and facing Bisping in his first fight back while there were a long line of contenders all champing at the bit to get that same opportunity. “For sure what I don’t want to do, I know the title has been on hold for a long time and that’s not my intention,” St-Pierre said. “There’s going to be news about it in the next few weeks but I don’t plan to hold the title and not defend it. I’m not going to do that. Much like his return fight against Bisping at UFC 217, St-Pierre is committed to adding to his legacy more than anything else. If that means facing Whittaker to unify the titles or potentially another fight that the UFC deems more worthy, St-Pierre is always up for making history.